On Monday 16 November, the Frontline Club hosted a screening of the documentary Yallah! Underground, a vibrant look at a diverse groups of Arab artists and musicians using culture to challenge the status quo. The film is set in the years prior to and during the Arab spring, and focuses on artists from Palestine, Israel, Jordan, Egypt and Lebanon. 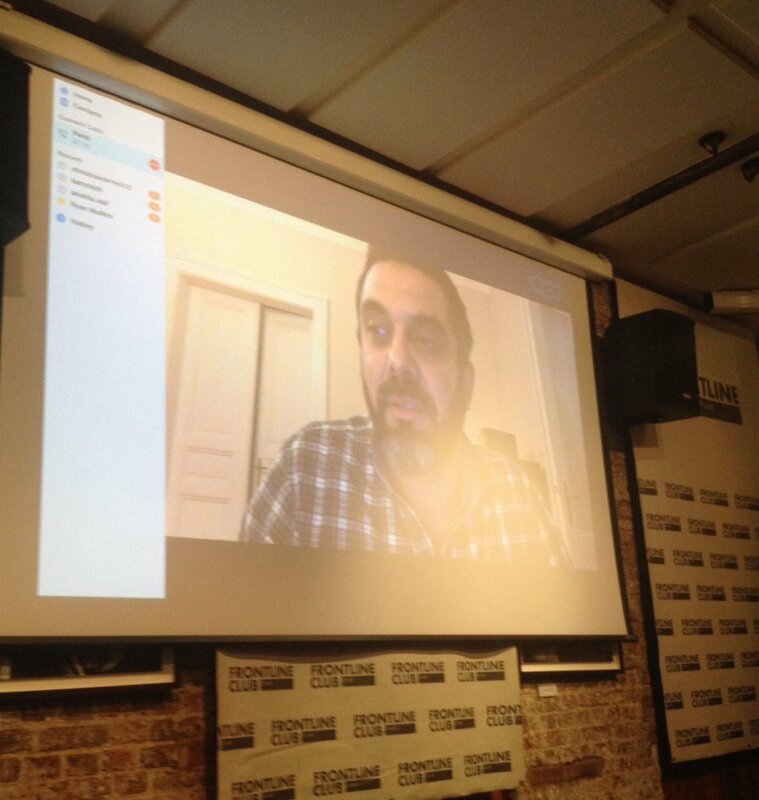 The film was followed by a Q&A with director Farid Eslam, via Skype. The film puts its soundtrack at the forefront, and uses music to weave its way through different Arab cities, swiftly moving its focus between the individual artists’ discussions over the struggle between individuality and tradition. Freedom of expression and thought are common themes that are mentioned regularly, particularly in relation to the events of Tahrir Square in Egypt. One audience member was curious about the absence of Syria from the film, considering its presence of underground artists. Eslam explained that he was keen to include Syria, and had tried to feature artists in Damascus and Jeddah. However, due to the escalation of the situation, “it became impossible.” Eslam did manage to film some Syrian artists in the Golan Heights, but this was not included in the film. Will be discovering Egyptian hip hop today after watching Farid Eslam's 'Yallah! Underground' @frontlineclub last night. What a great film! While a lot of his research was carried out on social media, he was also able to spend a lot of time talking directly to artists and people connected with the alternative scene. Information about Yallah! Underground can be found on the film’s website and Facebook page. Yallah! Underground will have its first screening in an Arab country next month in Dubai.